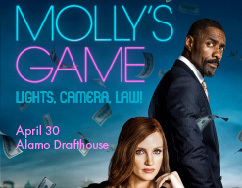 April 30 (Tuesday) 7:00 p.m.
Join us at Alamo Drafthouse for a screening of "Molly's Game." 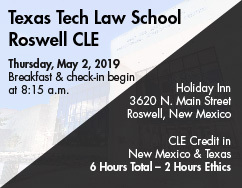 Texas Tech Law School is proud to host our annual Roswell CLE on Thursday, March 2. 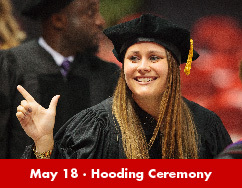 Saturday, May 18, 2019, 6:00 p.m.
Join us for our Spring Hooding Ceremony to celebrate the hard work and academic achievements of our students.